I often get asked by clients why they should choose a winter date for their wedding. 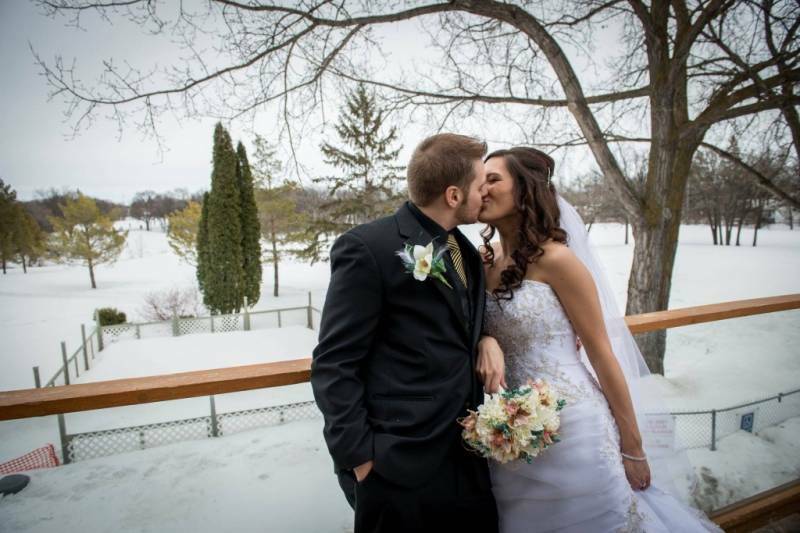 There are so many benefits to having a winter wedding so this month up on the blog, reasons why Winter Weddings in Winnipeg are becoming increasingly more popular! Most importantly the increased availability for Saturday dates. We typically book 1.5-2 years in advance in our peak season (May thru October) although in the winter we book about 1 year in advance. 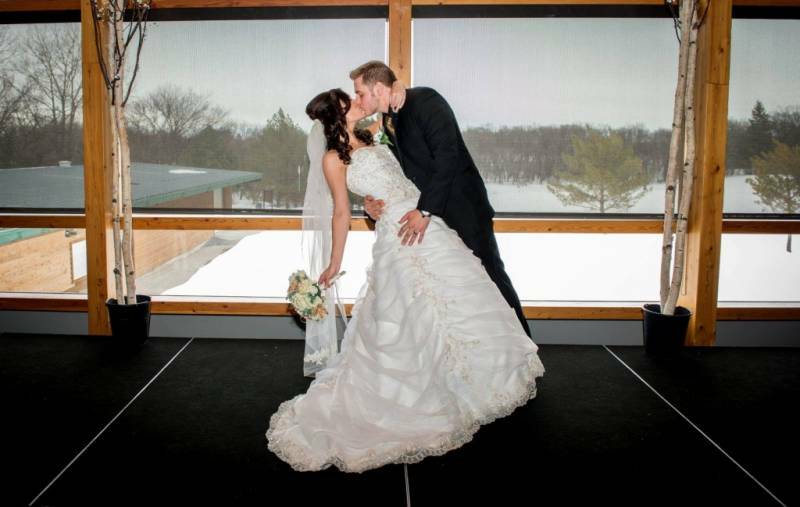 Winter Weddings are also a lot more cost effective than summer weddings. In the winter we have lowered spending minimums, by $5000.00, which can be a huge saving when trying to stay within a budget. The increased availability would also apply to external vendors such as florists, transportation companies and decorators. By choosing a winter date you are guaranteed to have less stress on your wedding day in regards to weather. In Winnipeg we have very predictable winters. If you are brave enough to bare the cold weather for a few winter wonderland photo opportunities go for it! You never have to worry about rain, or needing a back up location for photos or even the ceremony. Planning the wedding will also take significantly less time since you don't need to plan tentative back up scenarios for the ceremony or the photos. Plus, who doesn't want to be wrapped up in a warm furry poncho with their new hubby or wife? If you are incorporating candles or LED Lighting from Platinum Productions you can really take advantage of these with the winter sunsets. Usually by 6pm it is quite dark outside, with our lights being on dimmer switches we can dim the lights for that ultra romantic feel during dinner or dancing. Are you stuck on an idea for party favors? Hand out individual, personalized hot chocolate tins. Guests will love the opportunity to drink a hot beverage and take the tin home as a souvenir. By setting up a Hot Chocolate Bar complete with whipped cream, chocolate sauce and chocolate chips it can double as the late night beverage and the guest favor. Choosing a winter wedding date will also mean that you essentially get the entire golf club to your selves. The Gallery (restaurant) space, which in the summer would be otherwise occupied, can be used for family photos, a photo booth, or a quiet sitting space to get away from the music for a little while. Depending on your date we might even be able to put a Jets game on for your guests on the TV's in the Gallery. If you aren't opposed to Holiday Decor (wreaths, trees, lanterns, and twinkle lights) you can usually get these at a discounted price after Boxing Day. We have 2 Christmas Trees on site that are available for use as well. Try incorporating rich plums and berry reds into your decor since they offer an amazing pop of color against the snow white background that covers the golf course that is seen through the Atrium windows. The best part about a winter wedding is being able to jet away on a warm honeymoon after the wedding to escape a small portion of our cold Winnipeg Winter.